Spacious family home with so many extras it’s a must see. 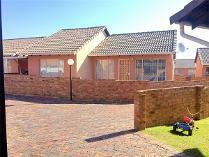 Entering the home you will see the inviting swimming pool with a outdoor braai. The house offers a large tv room for the kids. A dining room and then you enter the “heart “of this home, huge room with a build in braai and a bar. Sliding doors outside lead to a back paved patio with a outside building that can be turned into a flatlet. Fantastic opportunity to get a rental income. 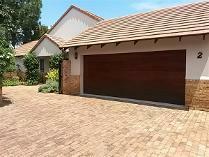 There’s also another outside braai and a carport with separate gate access. Kitchen have a scullery area that’s al little out of sight and convenient with a door leading outside for the washing. Bedrooms are all spacious with bic and not one but two have en suite and a separate full bathroom. Bic in all and also in the passage way enough if it’s a permanent home and not just a holiday. Must view to really appreciate what this home has to offer. 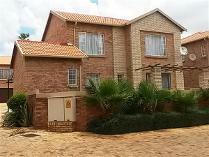 Stunning modern duplex with teen pad or staff accommodation in ruimsig / willowbrook. 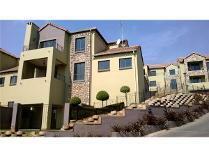 Only 16 units in this well kept complex situated on the corner of van der kloof / van dalen road. Perfect position - corner stand (inner circle) not on the boundary. Light bright and spacious, tiled throughout, this home is immaculate. Just move in. Open plan lounge, dining room and kitchen, leading out to patio and wrap around private garden. 1 bedroom teen pad or sq with bathroom has its own entrance and access into main house. Guest toilet and storage space. Upstairs offers 3 spacious bedrooms, 2 bathrooms (mes)controlled access - cellphone linkedposition, location, perfect don''t hesitate!!! call jackie now. 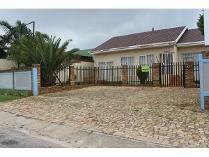 Excellent property, excellent exposure to ontdekkers road, and close to the n1 (gordon road)this property can either be used as a residential house or a business. The zoning is business 4 - offices, doctors rooms, etc. The stand is 883sqm meters, with the house in the front and big yard space at the back. Double garage, and domestic room with toilet. The roof is tiled, walls plastered, windows steel, with burglar bars. Very well maintained. The house consists of a reception area, two big areas (lounge, and dining room)big kitchen with built-in-cupboards, and stove. 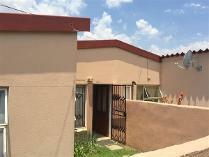 3 bedrooms / offices2 full bathroomsgood security: burglar bars, security gates, alarm system, electric fence. Good place to open your business. Welcome to exclusive villa la montagnea french villa on thee levels awaits an executive couple or family with great finishes and entertaining possibilitiesas you enter you are greeted with an amazing open area with a really beautifully fitted kitchen with light wood cupboards and superbly coloured granite tops. You also have a closed off scullery area with fittings for washing machine , tumble dryer and dishwasher and to a back door with a wonderful area to create your own herb garden !the open area could be used as a dining area or a living area. Moving down a level there is a big area which could be a wonderful family and entertaining room which leads onto a covered patio with a built in braai and a corner garden area to make your own. Up onto the top level you have three good sized bedrooms all carpeted and fitted with beautiful light wood cupboards. 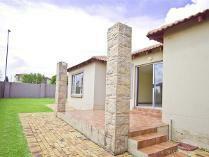 Main en suite (bath,shower and toilet)family bath (bath,shower and toilet)all other areas are tiled. Finishes include cornices. Beautiful light fittings. Great wrought iron detail on railings and really upmarket attention to details. Fully alarmed and fantastic complex security will allow you to kick your shoes off , enjoy the views from almost every room and enjoy the good life !!!!!!!!!!!! !call me now to start your new life. Style safety and security!!! upmarket cluster!!! 100% bonds available to qualified buyers!!! don't miss out on this great investment!!! call today to view!! these cluster unit consists of the following: - 3 bedrooms that are fully tiled with built in cupboards - 2 bathrooms consisting of bath,basin and toilet - open plan kitchen with lots of built in cupboards and a oven and hob - open plan lounge and dining room area that is fully tiled - safe and secure complex with 24 hour security - lots of space for kiddies to play around call me today to view and put in an offer!!! This cosy 3 bedroom unit is situated in bridgetown. Open plan kitchen and lounge. Newly tiled bedrooms. Complex offers pool, soccer field and so much more. Excellent 24 hour security with access control. 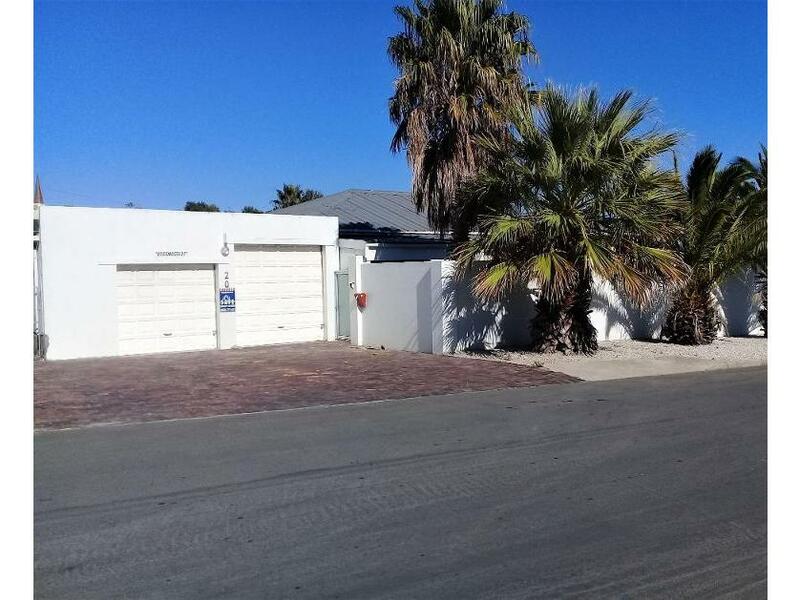 ** bargain buy in popular sante fe **needs some loving care by a family keen to score a winning deal. Prices achieved in this development have sold for r1050 000 so this cluster is perfectly priced to add your own special finishes and create your own masterpiece. Spacious open plan lounge / dining / kitchen leads through slider onto patio with a wrap garden area awaiting a keen creative touch. Three bedrooms , main on suite and a family bathroom. Viewing by appointment only. The owner is looking for a quick clean deal and the price clearly gives the buyer a fantastic saving to more than cover any and all fix-ups. Double garage automated and your cluster is completely walled with a side gate into the patio area. Plenty of space to even add your designer pool. 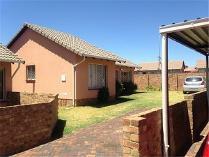 This property has all the right elements to be a fantastic investment and home. Call me asap to avoid disappointment , this will be snapped up fast.